Maybe you’ve seen the signs driving along I-25 that read “Chemical Free Spas”? 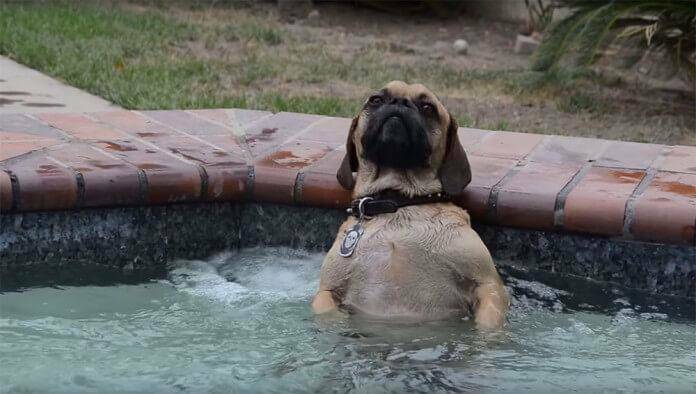 Unfortunately, some hot tub stores attempt to deceive potential customers by claiming that their spas require no chemicals. This is 100% false and a very dishonest tactic to gain sales. There is no such thing as a “chemical free” spa. That being said, there are ways to reduce the amount of harsh chemicals required, down to a level that is virtually undetectable. But hot water without some sort of sanitization and oxidation will quickly become a petri dish filled with all manner of harmful bacteria and disease. If at least some amount of chemicals weren’t necessary for a hot tub, why would anyone bother using them? Aren’t saltwater hot tubs chemical free? Salt (NaCl) or sodium chloride becomes sodium and chloride ions when dissolved in water. An electrode converts the chloride ions in to chlorine gas, which kills bacteria. That’s right….a saltwater hot tub is really just a chlorine hot tub. Additionally, those electrodes only last between 1 and 2 years, even when performing regular cleaning (required). Replacement costs can be $800 or more! On top of that, the saltwater causes damage to your hot tub’s components. Salt is very corrosive. One major spa manufacturer even states in their owner’s manual that you should regularly hose down the area around your hot tub to avoid the build-up of salt from splash-out which can pit your concrete and kill your grass or plants. Salt systems are far from “set it and forget it”. You also need to balance your PH, Alk, and Calcium Hardness. Salt systems will not properly function with water that is not properly balanced. Colorado Custom Spas was one of the first companies to offer saltwater systems for hot tubs. We have years of experience dealing with them. We will gladly install a salt system on any hot tub, though we will be up front and honest about the pros and cons of such systems. 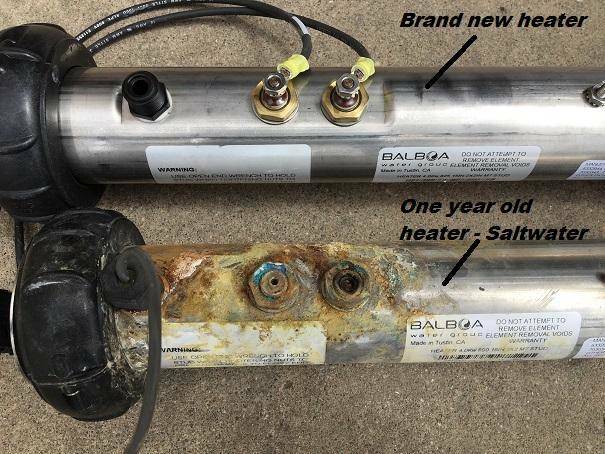 Luckily, we have found multiple solutions that offer the benefits of a saltwater hot tub, with none of the negatives such as corrosion. Our most popular program uses a multi-faceted approach to achieving clean and clear water without any chemical smells or skin irritation. It also happens to be very simple, requiring about 5 minutes of your time, once per month! A combination of ultraviolet light (UV), ozone gas, and minerals do most of the work. In addition to killing bacteria, the minerals help soften the water much like a salt system does. The amount of “chemical” in the water ends up being about one half part per million (0.5 ppm). The EPA allows for up to 4 ppm of chlorine in drinking water, or 8 times the level in our system! 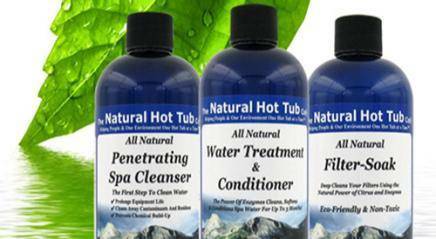 Another natural option is our enzyme based water treatment and conditioner. The enzymes inhibit bacterial growth and stabilize your Ph. It contains lanolin and glycerine to soften the water giving you silky smooth skin. One dose lasts for 3 months. Follow the link below to learn more. These are just 2 of the many solutions we offer our customers. With over 20 years experience dealing with hot water chemistry, Colorado Custom Spas’ expertise will guide you to a program that best meets your needs. If you aren’t happy with your current water treatment program, don’t fret! Call (303)HOT-TUBS today. No matter where you purchased your spa, or what program you are currently using, we’re sure we can find something right for you. What should I use for excess foam. My chemical balance is pretty good otherwise. Hi Larry! Generally speaking, foam in a hot tub is not related to water balance. Foam is caused by extreme turbulence of the jets combined with the build up of soap and surfactants that are introduced to the spa. These surfactants come from the residue that remains in our suits, on our skin, hair, or even from products that we wear such as deodorants and lotions. Another way that surfactants enter the water is through cleaning supplies that are used on hot tub surfaces or filters. This is why it is imperative that you rinse your filters extremely well after using a filter cleaning solution. It also for this reason that we recommend using distilled white vinegar diluted with water to clean your spa surfaces. Vinegar will not leave a residue like most cleaning products. There are anti-foam products available that you can add to the water to temporarily disperse the foam and make your soak more pleasant. These are only temporary solutions. If you have very soft water, increasing the hardness can help, though increasing the hardness too much can cause other issues that are worse than foam. It is generally our recommendation that you scoop as much of the foam out with a skim net and use foam eliminator. If your water is older than 3 months, I would recommend a drain and refill.